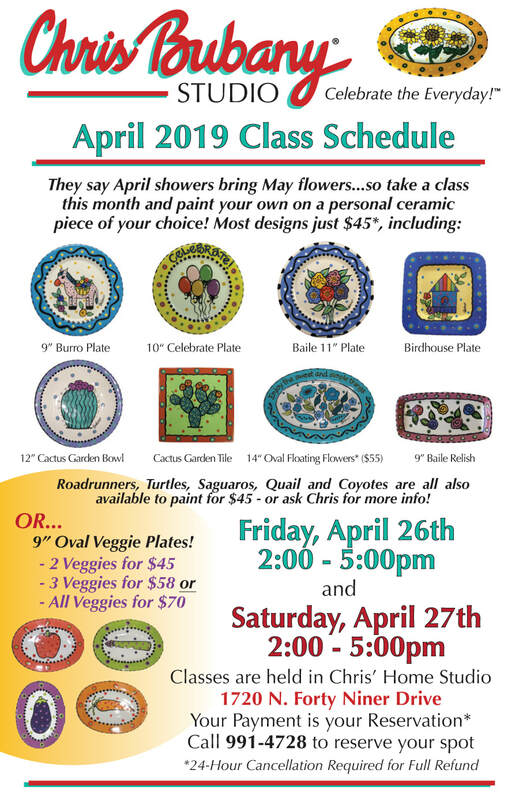 ​Spring is on its way...take a Class with Chris today! SIGN UP FOR PAINTING CLASS NOW! "On Monday (March 5, 2018), 7 Chicas made the trek up to north Tucson for a pottery painting session at Chris Bubany Studio. 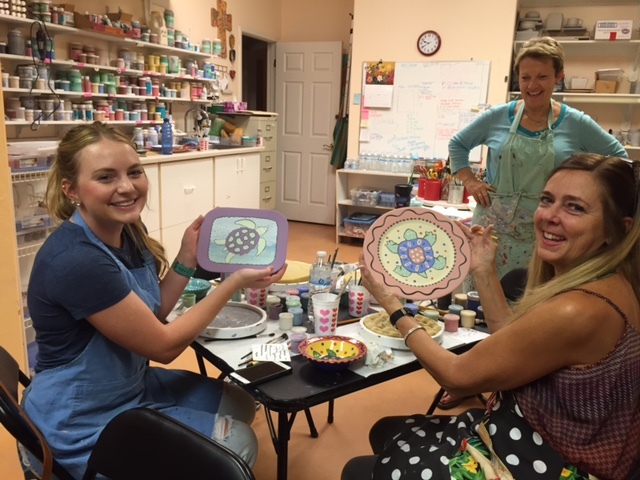 Artistic talents blossomed, and a good time was had by all. Creative efforts must still be glazed and fired, with the end products available next week. In the meantime we will remember a very fun afternoon and look forward to our beautiful dishes, which Chris Bubany promises will be more beautiful than we hoped! Attached is a photo of our group with Chris, who was a patient, helpful, and enthusiastic teacher who always saw the beauty of our efforts even we didn't ourselves." 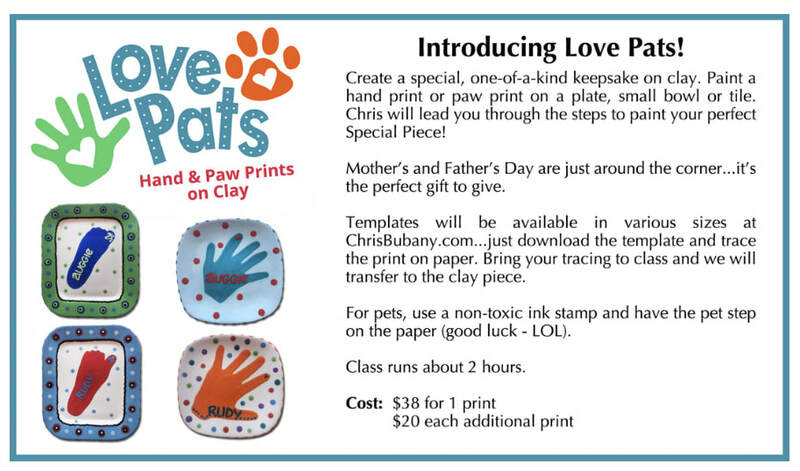 Love Pats Classes will be held in the Chris Bubany & Friends Gallery's Classroom at 6538 E. Tanque Verde Road. ​Download the template below for the piece you wish to create, trace or stamp the Hand, Foot or Paw print directly into the template and bring it to class with you for painting! ​Play the video below to watch Chris explain her process! Chris Bubany hard at work in her studio.